Tom Ford is a high-end American line of clothing and accessories for men and women. Popular in the fashion world and among celebrities, at Tom Ford you can shop from a variety of elegant and modern looks. With Big Apple Buddy’s personal shopping service, you can now buy direct from the Tom Ford online store anytime, anywhere. At Tom Ford, you can shop from a variety of styles of men’s dress shirts that are designed to last you a lifetime. These shirts come in both timeless, elegant designs and more modern ones. 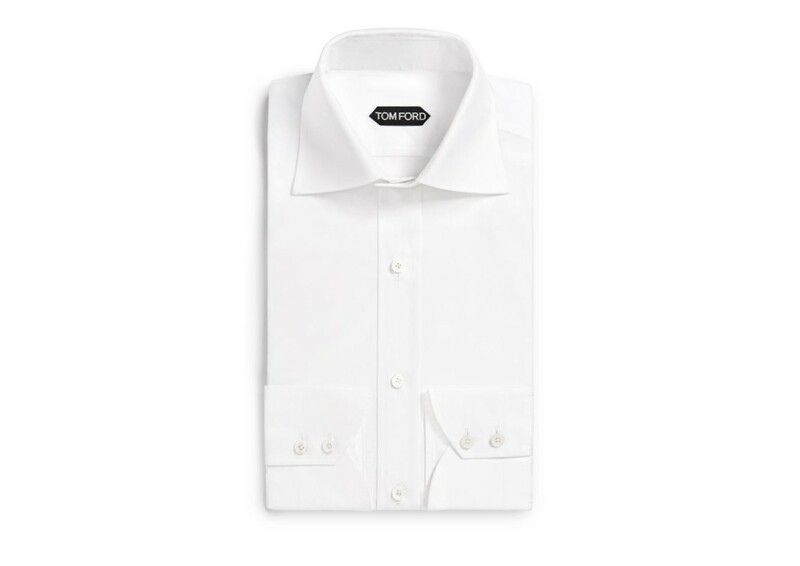 The Classic Fit High Collar Stand Barrel Cuff Shirt is the perfect dress shirt for any occasion and will go with all the pants and jackets in your closet. Made in Italy, this shirt is 100% cotton, which means it is a comfortable and lightweight shirt for warmer weather. Shoe lovers will love Tom Ford’s selection of footwear for both men and women. The Fur Spike Heel Boot is one of the brand’s more fun and edgy options. Made of beaver fur and embellished with a golden spike heel, this boot will surely help you dress up any outfit and make you stand out with ease. Accessorize with Tom Ford’s variety of sunglasses designs. The Olivier Soft Square Polarized Sunglasses for men have a matte black frame and gold ‘T’ design on the sides. The grey gradient ochre polarized lenses will protect your eyes from the sun and keep you looking cool and stylish. Tom Ford also creates plenty of unique sunglasses for women, so be sure to check those out as well! Unfortunately, the USA Tom Ford online store does not currently offer international shipping. However, Big Apple Buddy, your personal shopper, can help you buy products direct from the official USA Tom Ford online store and ship them to your doorstep, no matter where you are in the world. If you would like to buy from the USA Tom Ford online store, simply let us know which items you would like to order (by filling out the form below) and we’ll get back to you with a free international shipping quote within 24 hours!